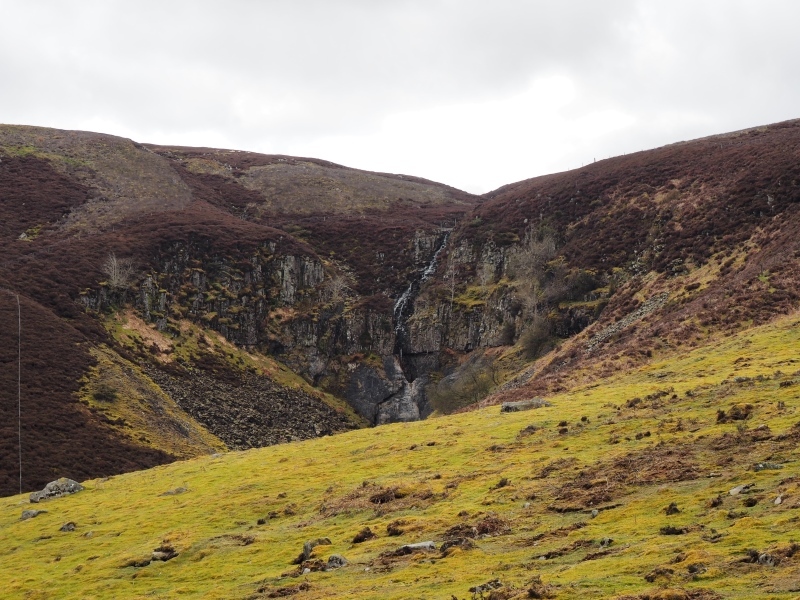 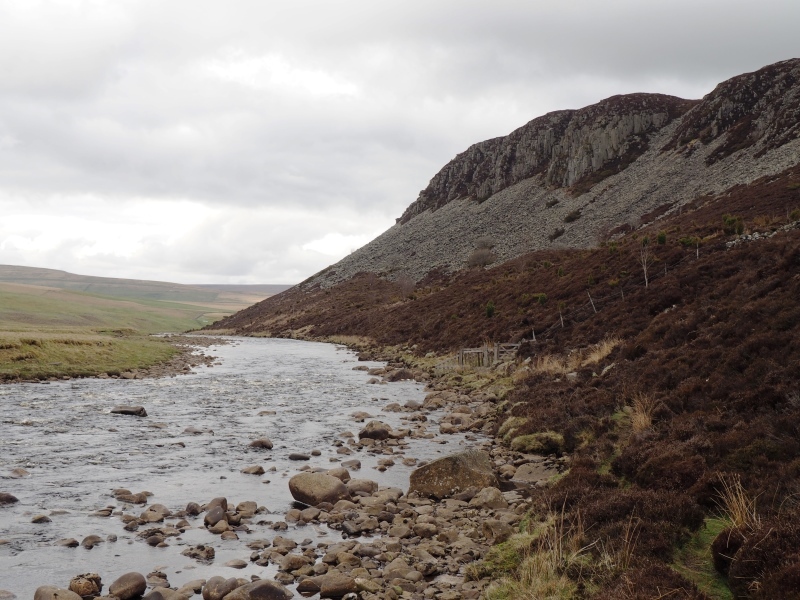 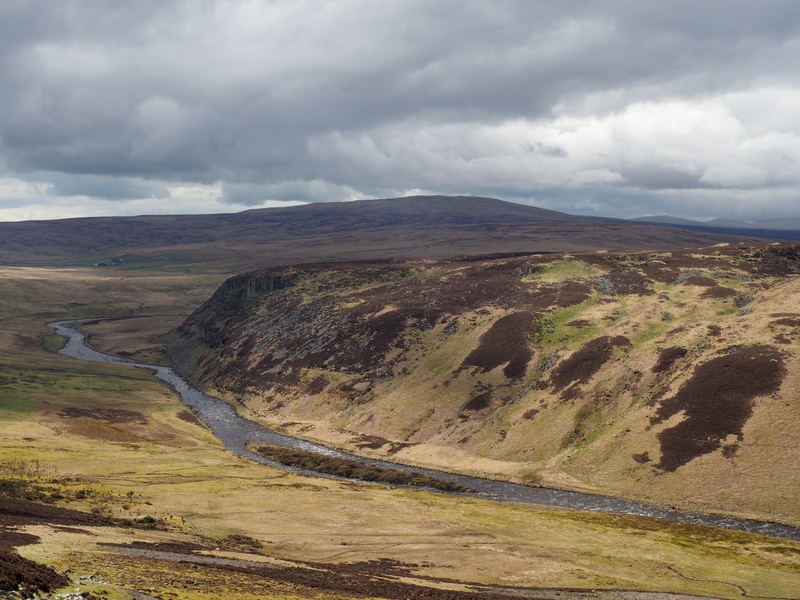 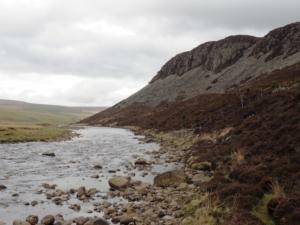 A couple of detours to visit Dine Holm Scar and White Force before a super walk over Cronkley Fell and an equally enjoyable walk alongside one of the finest stretches of the River Tees. 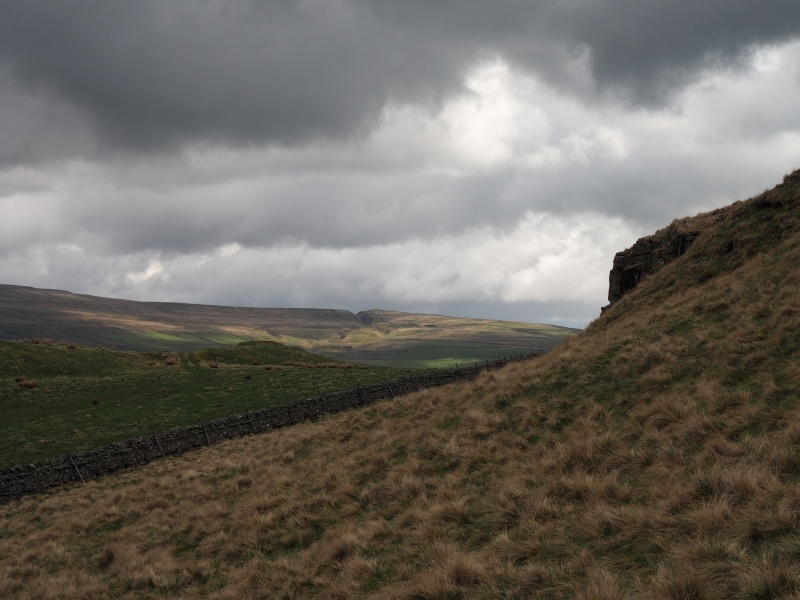 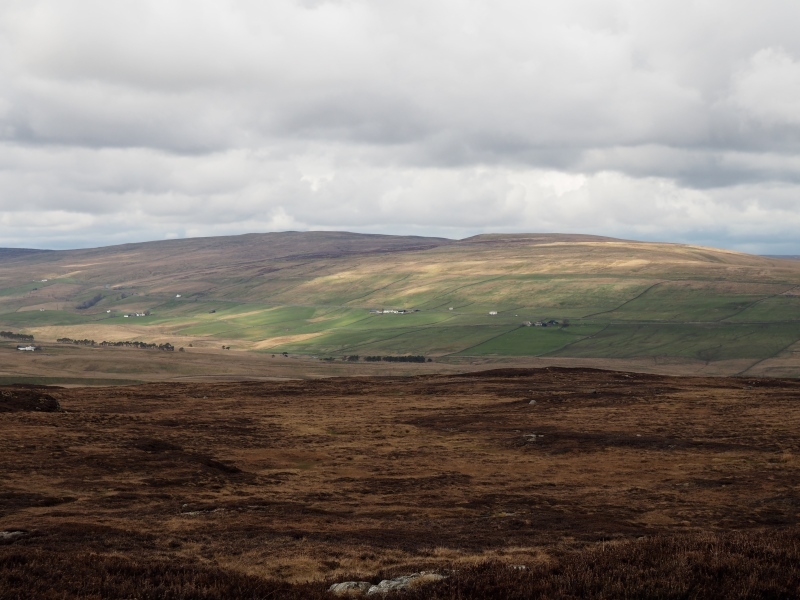 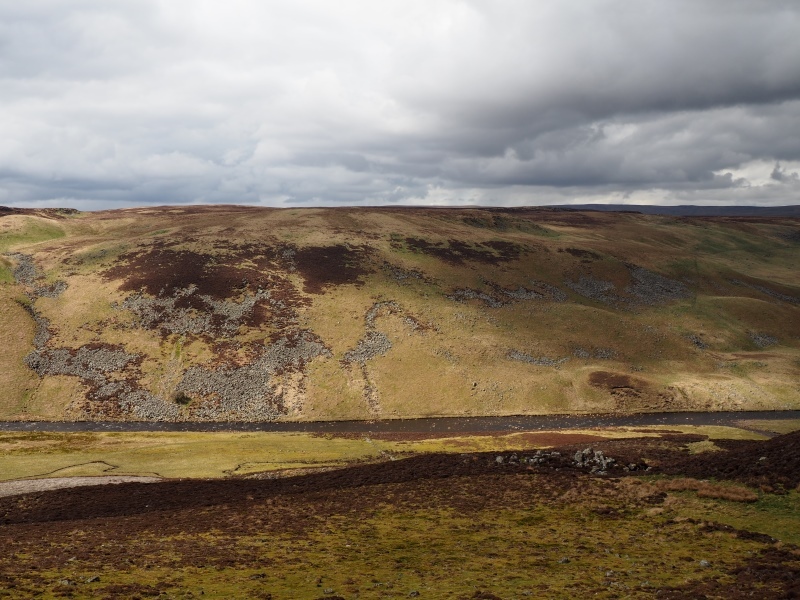 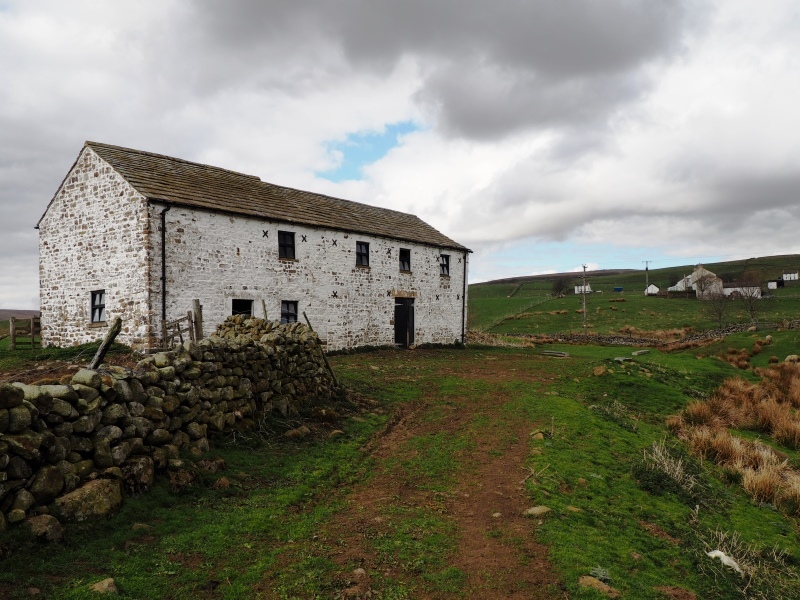 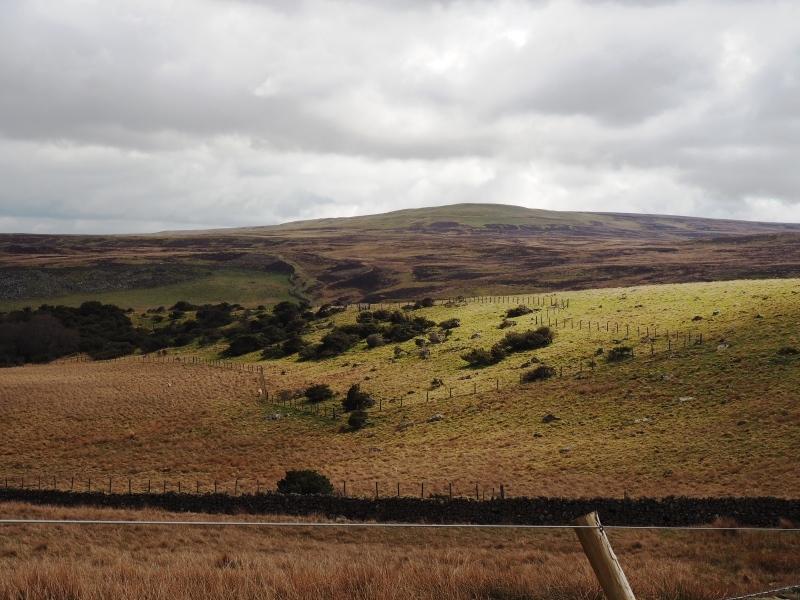 One of my earliest and favourite walks in the North Pennines was in February 2007 when my wife and I did a route over Cronkley Fell that I took from Paul Hannon’s walking guide, ‘Teesdale’. 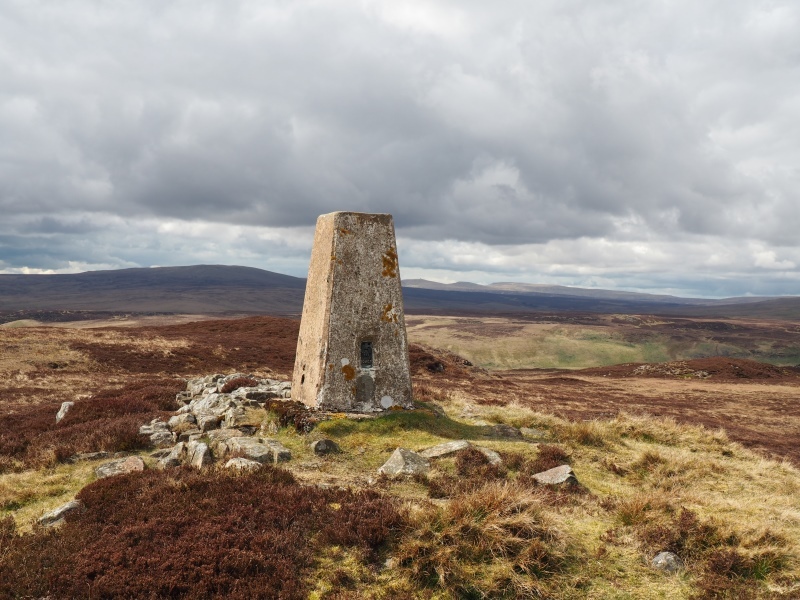 Whilst Cronkley Fell is really just a distant outlying ridge of Mickle Fell’s, and doesn’t qualify as a separate summit, I remember being very impressed with the views from the trig point. 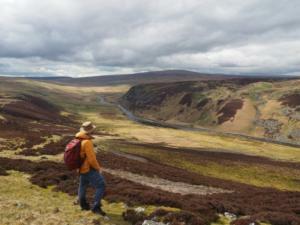 This combined with a fantastic stretch of the River Tees meant that this has been long on my to-do list to revisit. 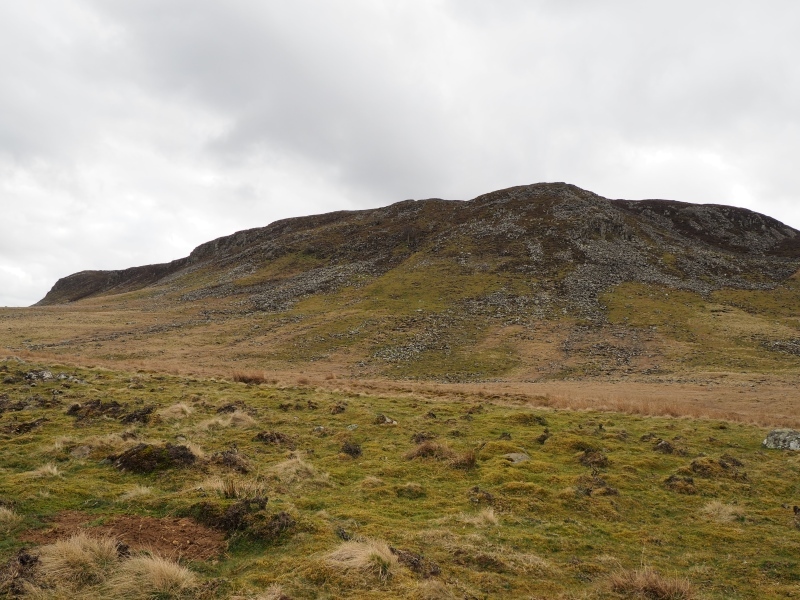 Whilst I would have happily gone back and re-walked exactly the same route I had discovered in the meantime that Dine Holm Scar, located not far from the walk’s starting point, is listed as separate summit on the Database of British Hills. 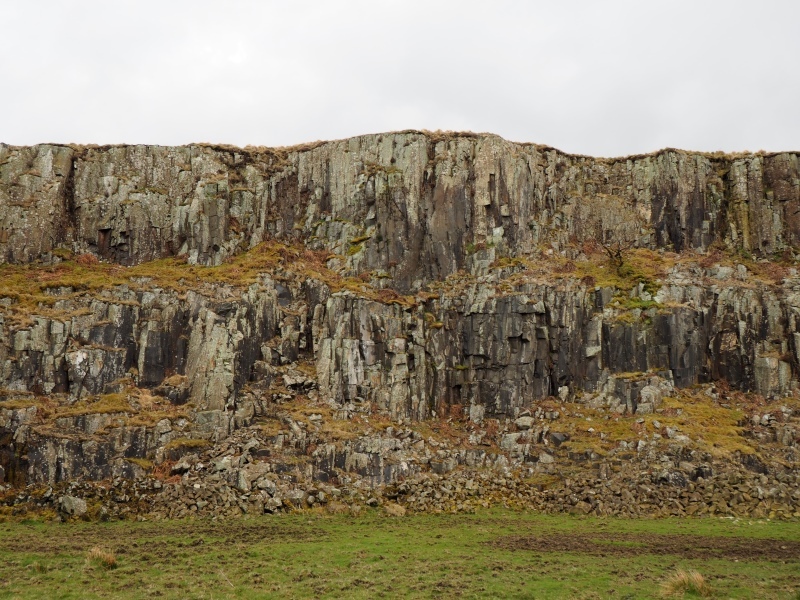 As I’ve set myself the challenge of visiting all the North Pennine summits over 400m it meant that sooner or later I’d have to try and ‘bag’ Dine Holm Scar. 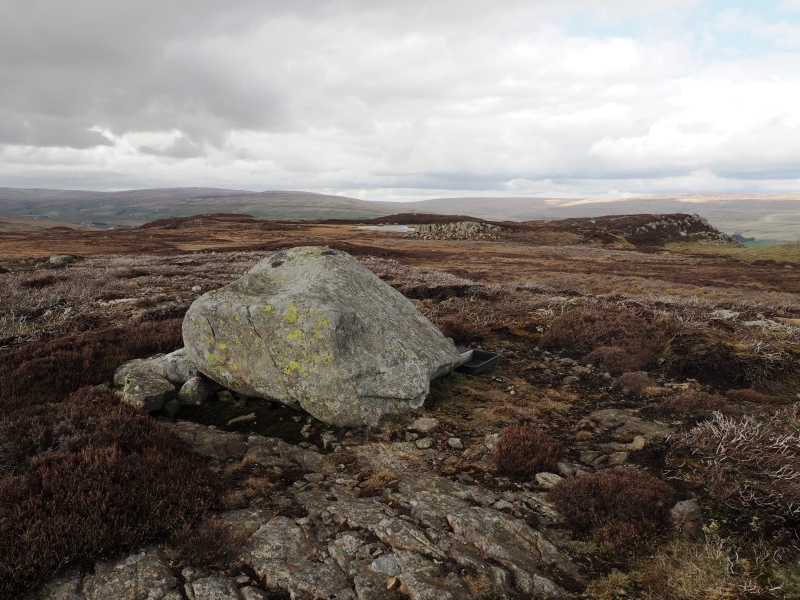 By including a slightly eccentric detour on to the start of the Cronkley Fell route it meant that I could kill two birds with one stone. 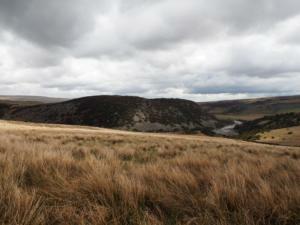 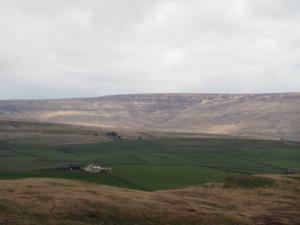 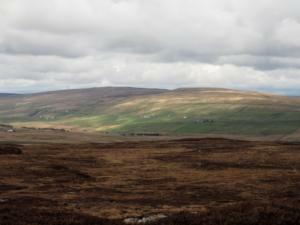 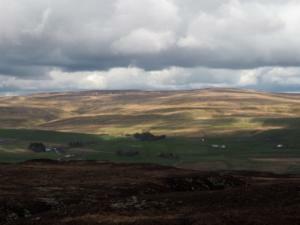 I started from the small car park in Forest-in-Teesdale, a few miles north-west on the road from the High Force Hotel. 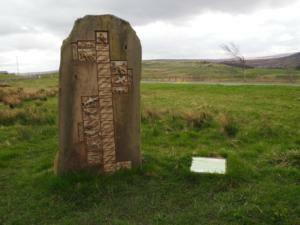 Fairly recent additions to the picnic area by the car park are two sculptures. 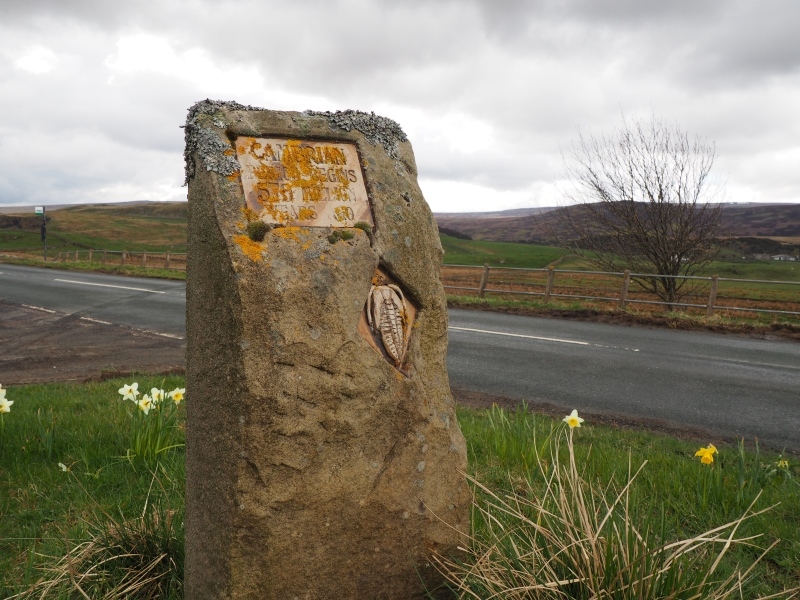 Both sculptures celebrate the Cambrian Age, with an information board for one informing us that they are the work of Teesdale sculptor Phil Townsend and the children of Forest-in-Teesdale school. 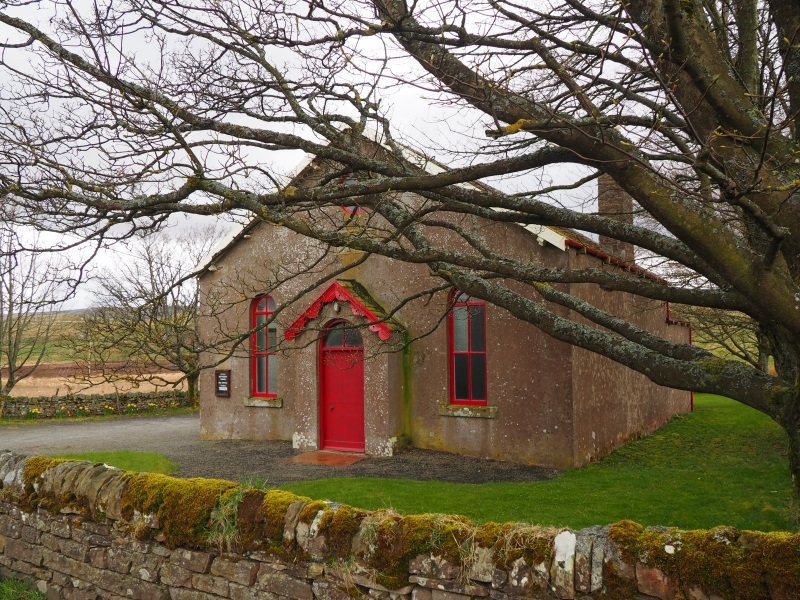 From the car park I turned left and walked south along the road, soon passing a Wesleyan Chapel dating back to 1867. 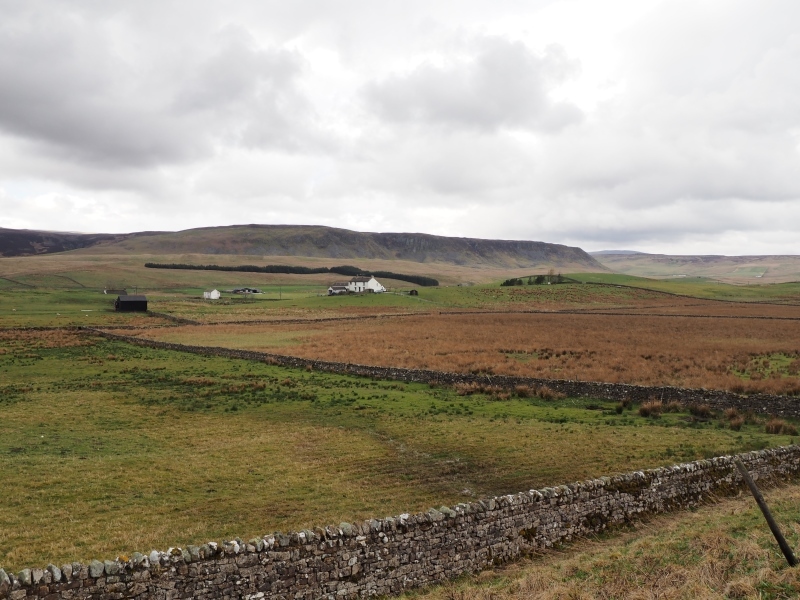 Continuing on I was slightly bemused by a lapwing which was walking on the verge on the opposite side of the road to me in the same direction. 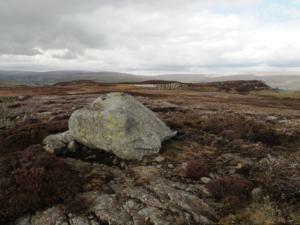 It was clearly trying to keep its distance from me but instead of flying away it just carried on walking. 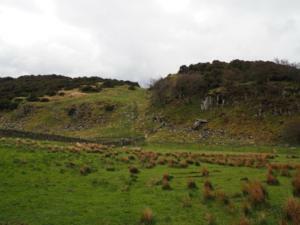 Arriving at a track on the right hand side I took this to pass below some quarry workings on Low Knott. 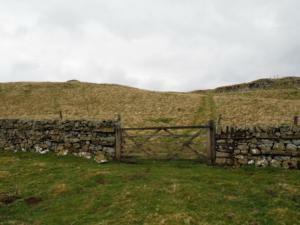 Just above where the right of way passes through a wall there was a gate. 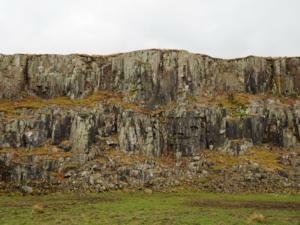 This very handily gave me access to High Knott and then on to Dine Holm Scar. 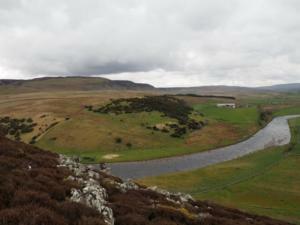 I reached the latter by following the outside of the fence high above the River Tees. 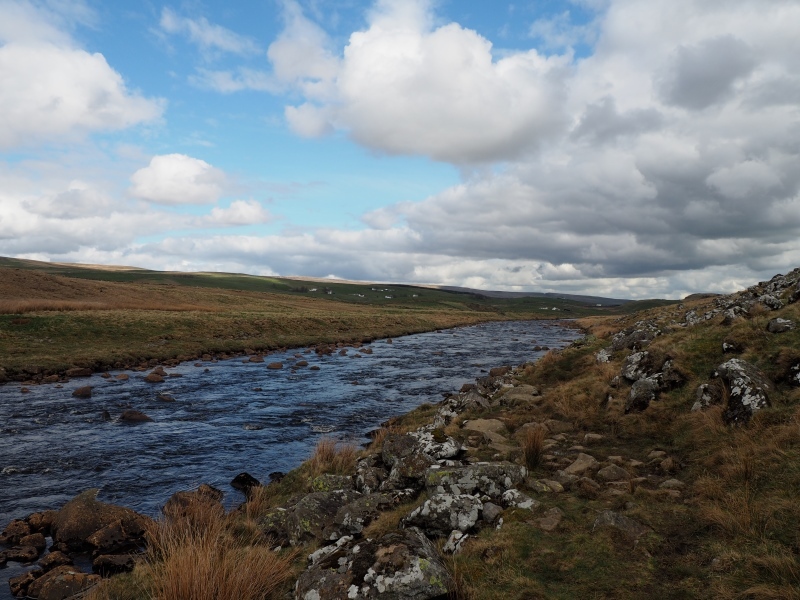 The going was a bit rough underfoot but the views of the River Tees and the scattered community of Forest-in-Teesdale were excellent. 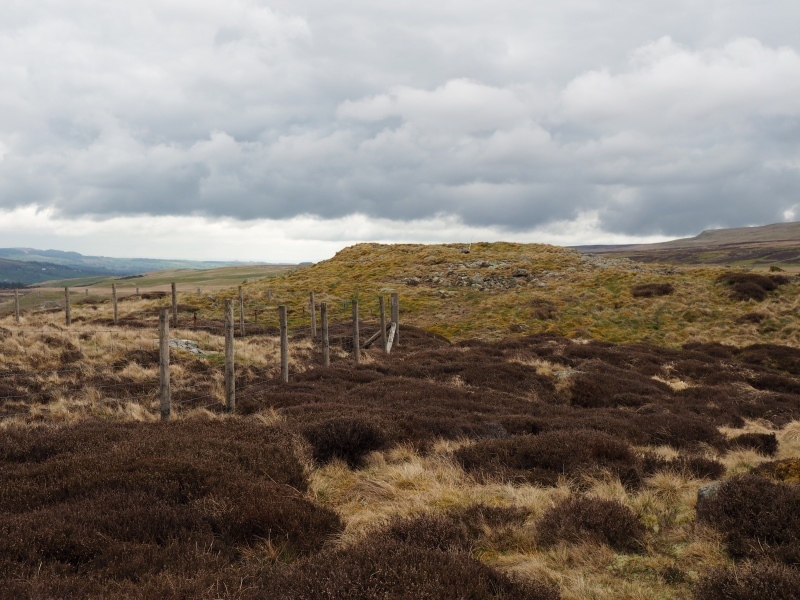 The summit proved to be a slightly raised area but apart from a nearby fence was otherwise unmarked. 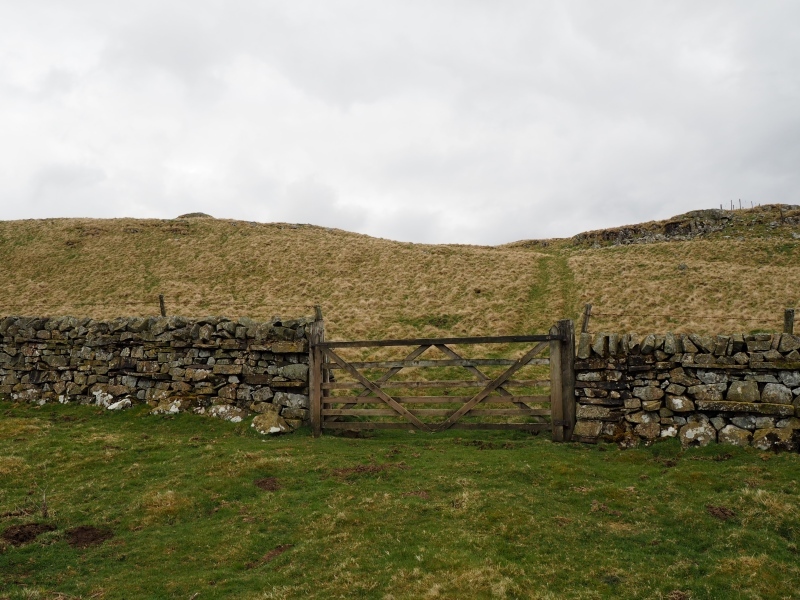 After taking in the view, which included the likes of Westernhope Moor, Bink Moss and Cronkley Fell, I retraced my steps back to High Knott and down to the right of way I’d left below the gate. 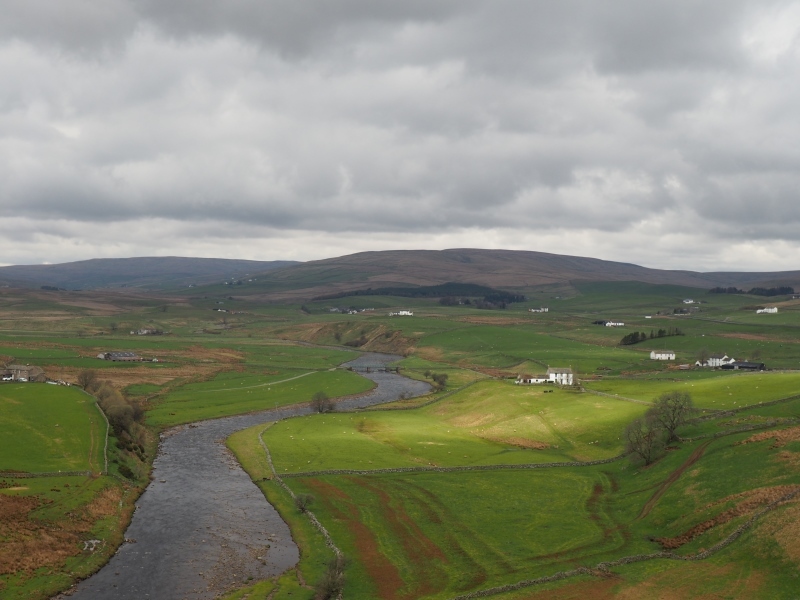 From there I dropped down through some pastures, passed the farm at Hill End, and came to the bridge crossing over the River Tees. On the other side of the bridge I turned left on the Pennine Way to take the access driveway to the farm at Cronkley. Following the Pennine Way over High Crag and the top of Bracken Rigg I had a good view back across to my left of Dine Holm Scar. 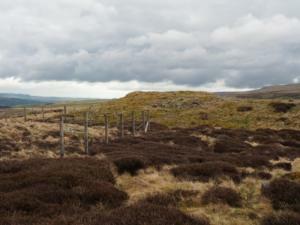 Leaving the Pennine Way behind on Bracken Rigg I continued on to a junction of paths on Birk Rigg. Turning right I now began my climb up on to Cronkley Fell. 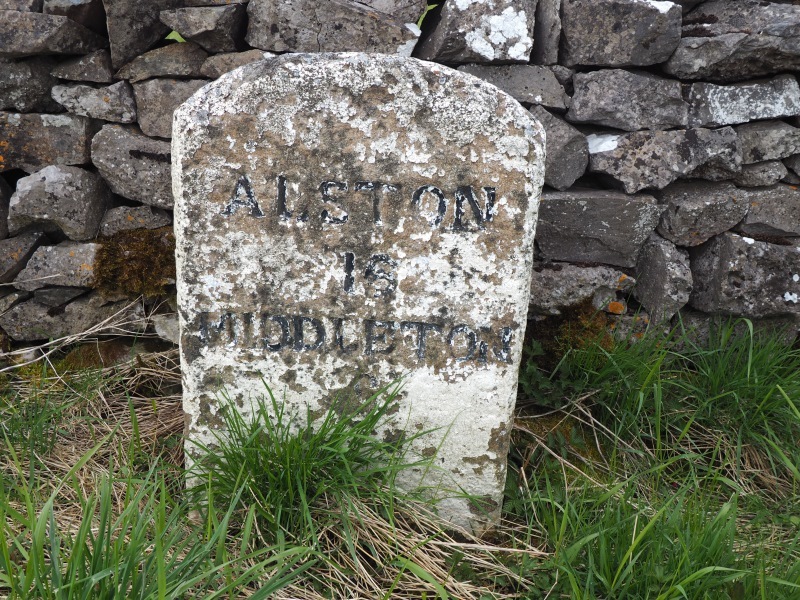 I did not go far though before I decided to make another detour. This was to see if I get close up to the waterfall called White Force. This is found in a deep little gill on the other side of Skyer Beck. 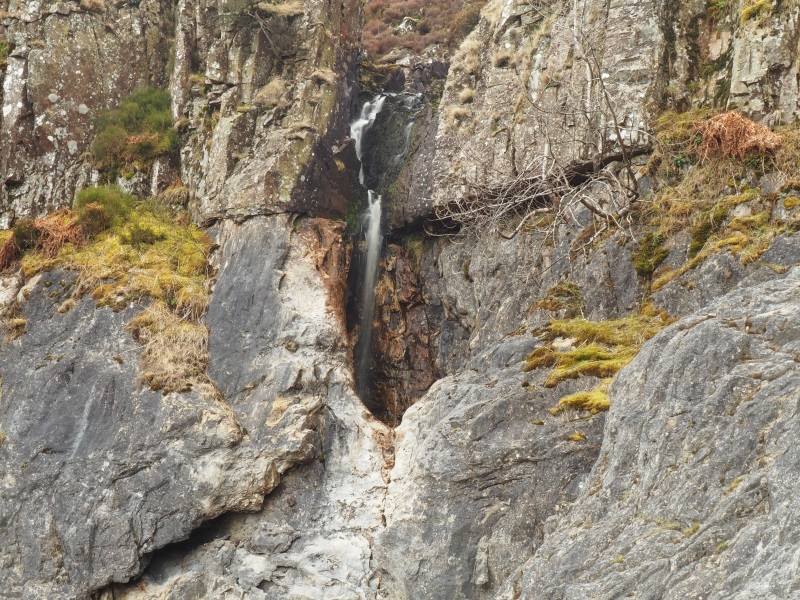 It proved to be an easy enough detour and quite an interesting waterfall with part of the drop hidden by a sheet of rock. 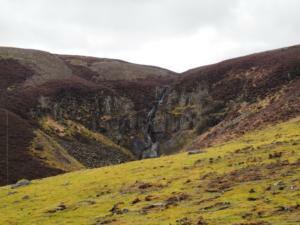 There wasn’t much water coming down and it is definitely one I’d like to go back and view in wetter conditions. 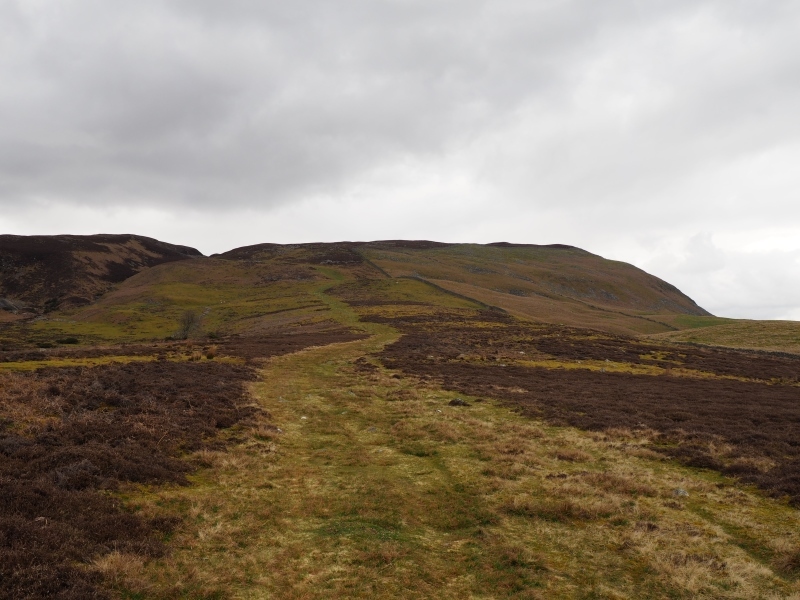 Returning to the bridleway I continued my easy climb up on to Cronkley Fell. Near the top I came across two older walkers, the only other people I saw on the walk. 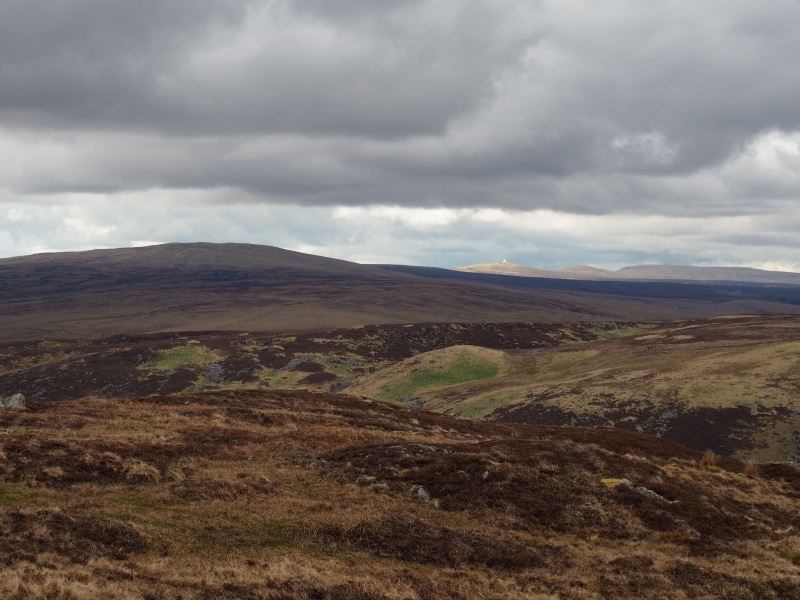 They stopped me for about 10 minutes, mainly to tell me of all the places they’ve walked in the world and also to warn me I’m too early to see any gentians on the fellside. I wasn’t too disappointed as I’d not expected to see any. 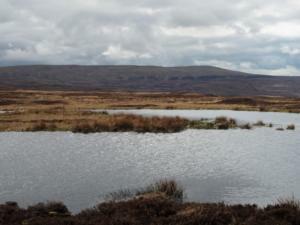 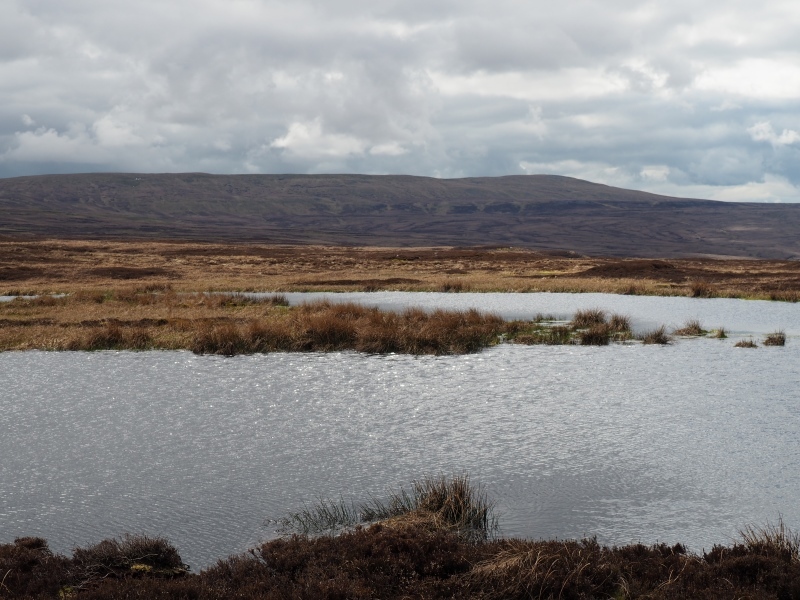 Upon nearing a fenced off area I detoured away from the path to visit the small tarn and trig point in the area called Thistle Green. Now as you may know I do like trig points and I also really like tarns so it is perhaps no surprise that I do like this particular spot. 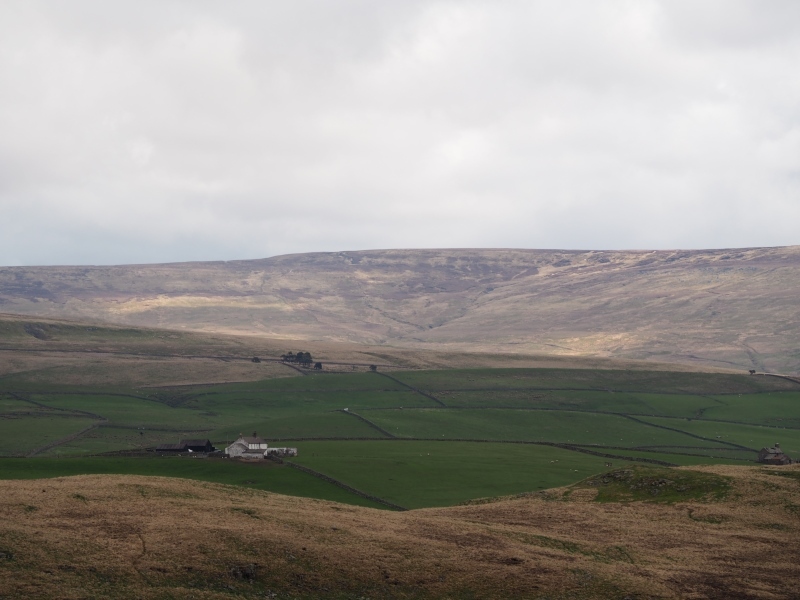 Indeed combined with the quite wonderful 360 degree panorama it is quite possibly my favourite viewpoint in the entire North Pennines. 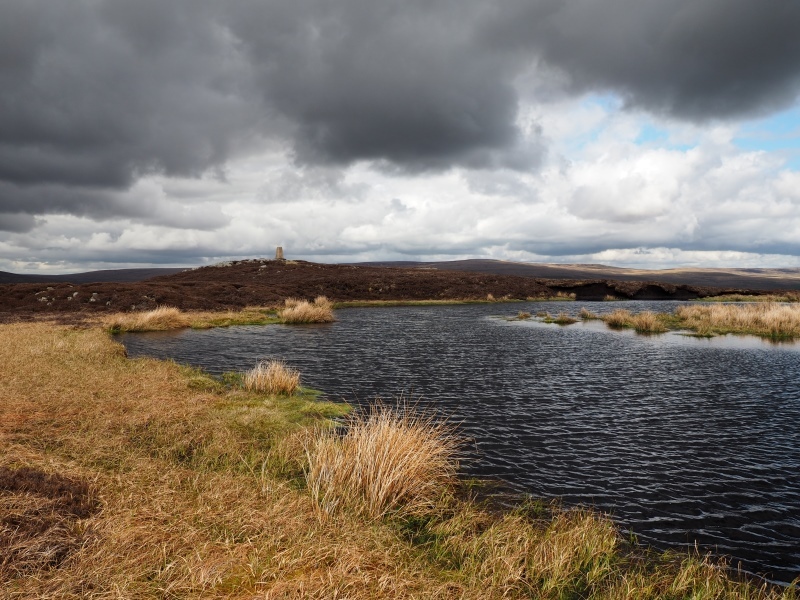 After waiting for a while for a small patch of sunshine to illuminate the tarn I eventually moved on to visit the highest point of Cronkley Fell before returning to the bridleway. 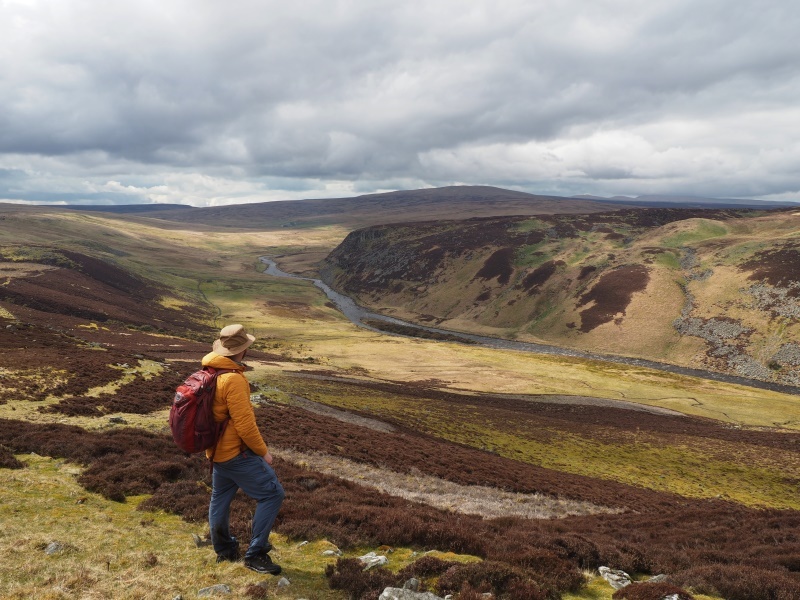 After a short gentle descent I soon arrived at the dramatic spot overlooking the River Tees as it rounds the steep cliffs of Falcon Clints. 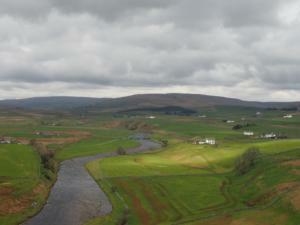 It is another superb spot and again I lingered to take a number of pictures in the changing light conditions. 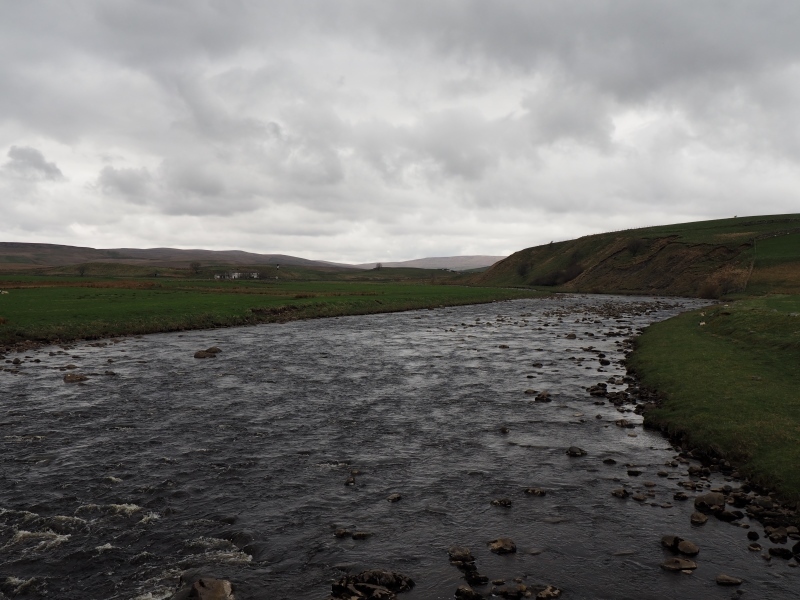 Finally I descended to commence a long section along the river. 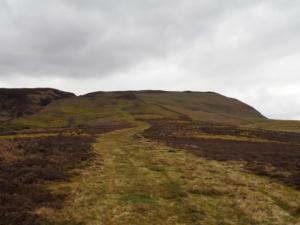 The path is a narrow one and in places quite rocky, not surprising considering the steep ground above. 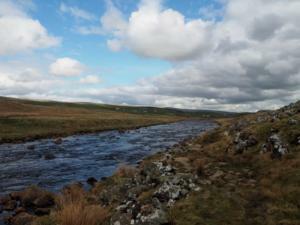 Although it is not the easiest of paths underfoot the setting is quite wonderful, the River Tees at its very best. 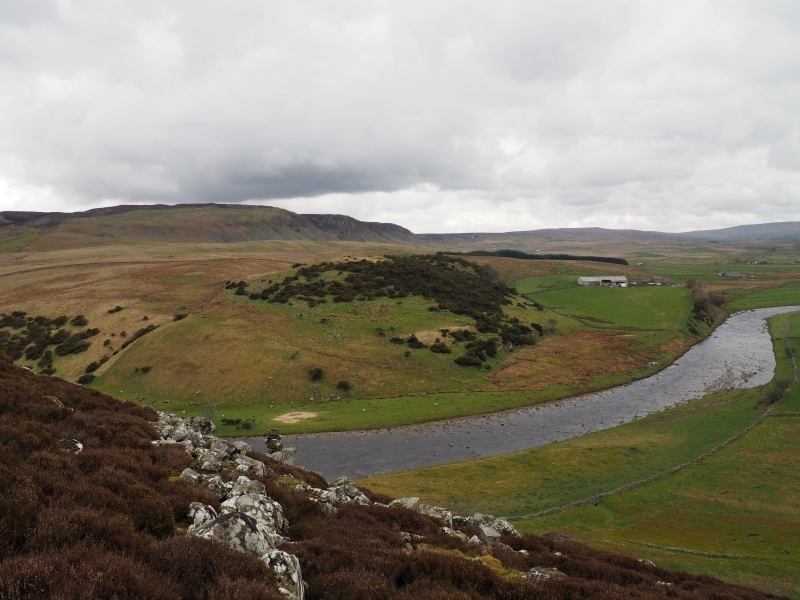 After passing below Raven Scar and Cronkley Scar the ground began to get much easier as the river passes through into some of Teesdale’s pastures. 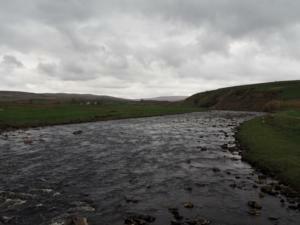 Continuing on it was a pleasant ramble along the river back to the bridge. 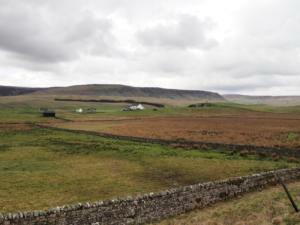 Crossing over I passed the houses at Wat Garth and Birk Rigg to return to the road with the car park just a few minutes along to the right. 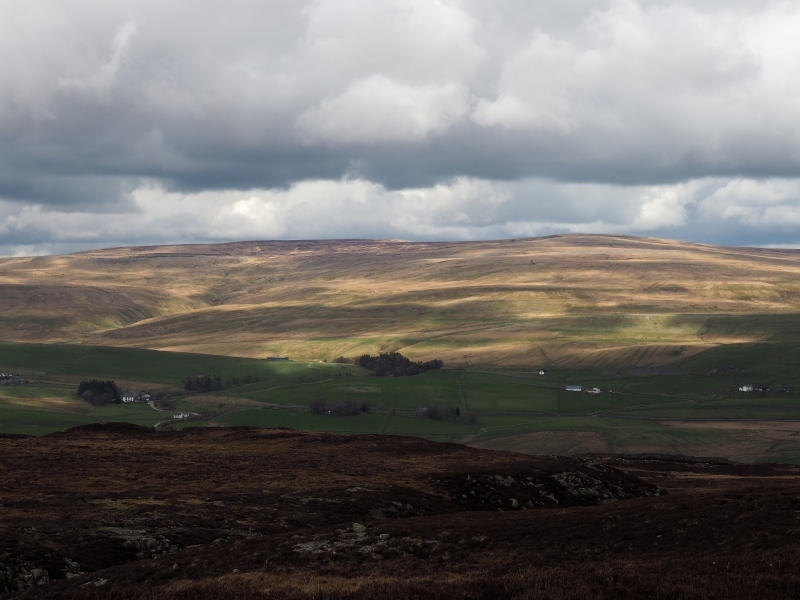 Although the generally cloudy skies were a little disappointing I did enjoy at least a few patches of sunshine in the right places. 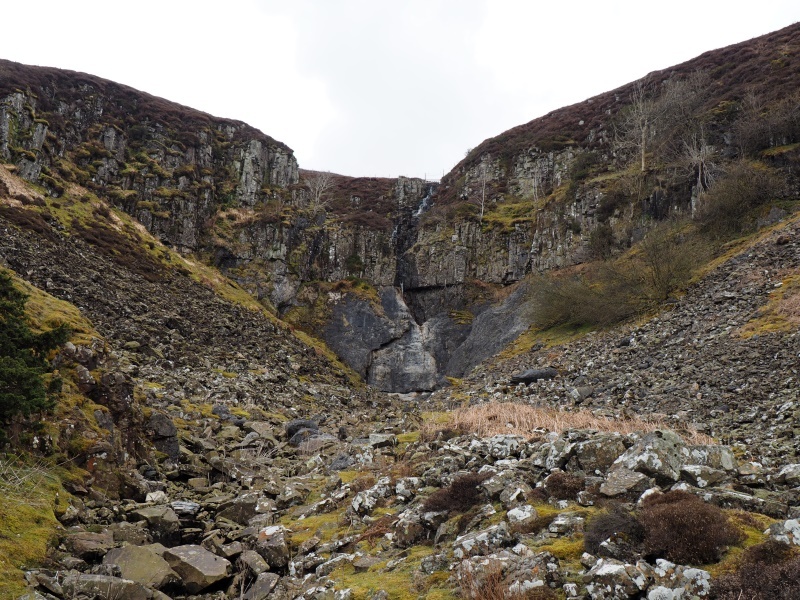 It was nice to bag Dine Holm Scar and also to finally visit White Force properly. Both detours though can easily be left off the route. 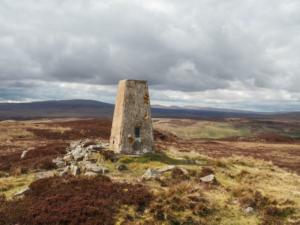 The highlights though still remain the panorama from the Thistle Green trig point and the tremendous views of the River Tees below Falcon Clints.